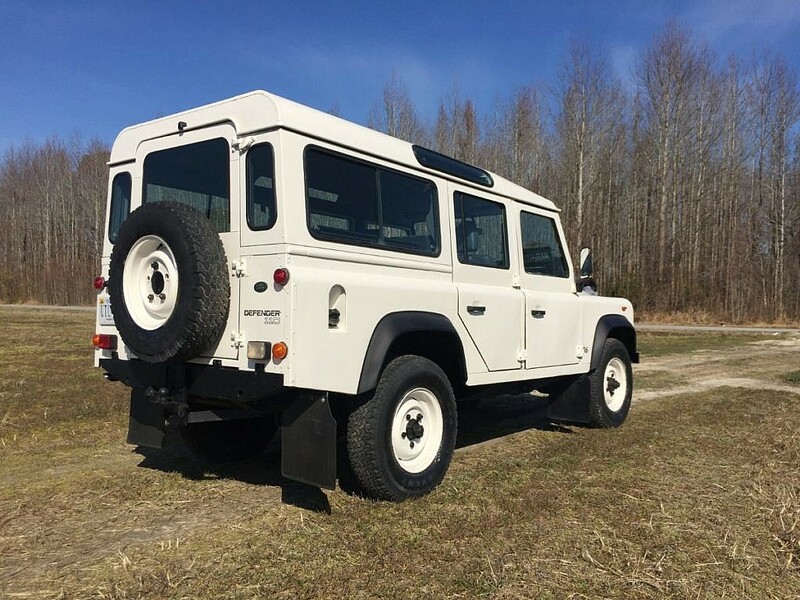 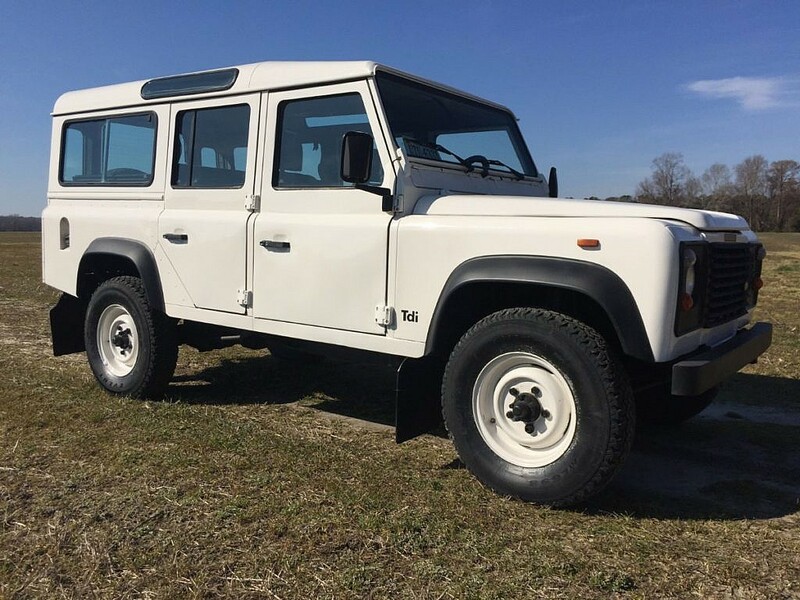 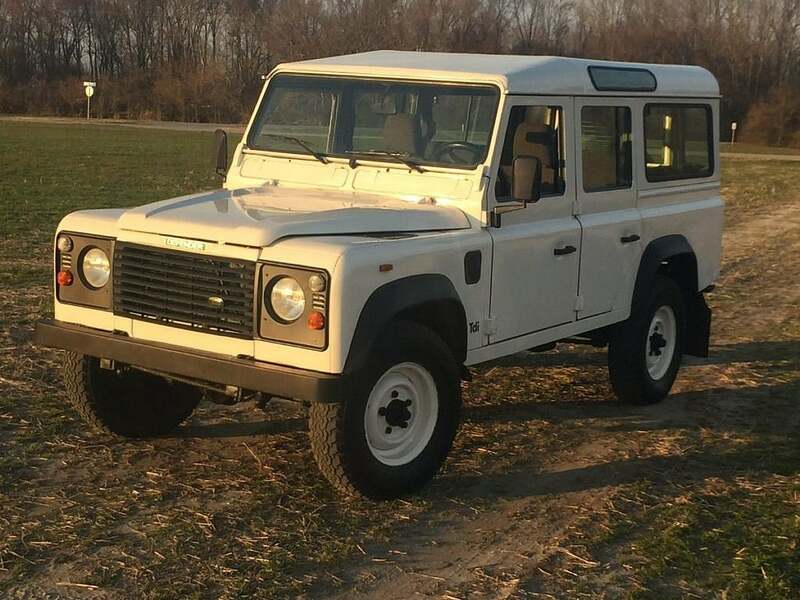 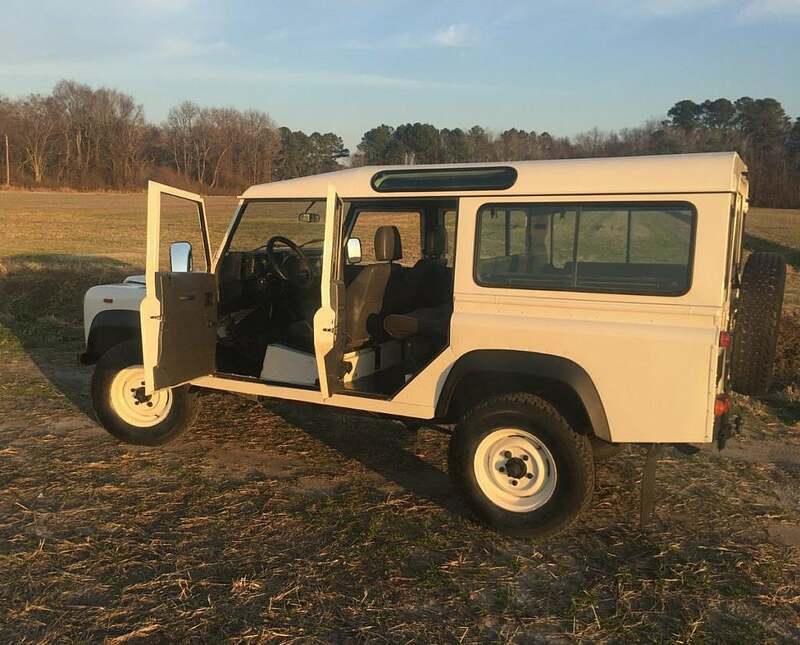 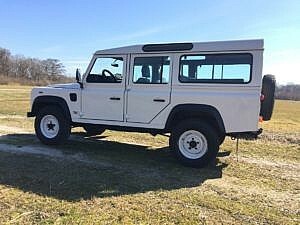 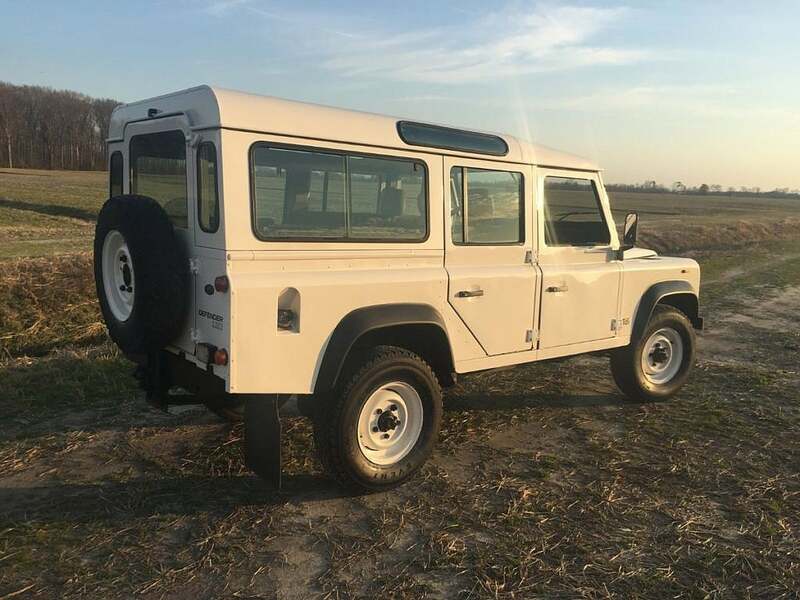 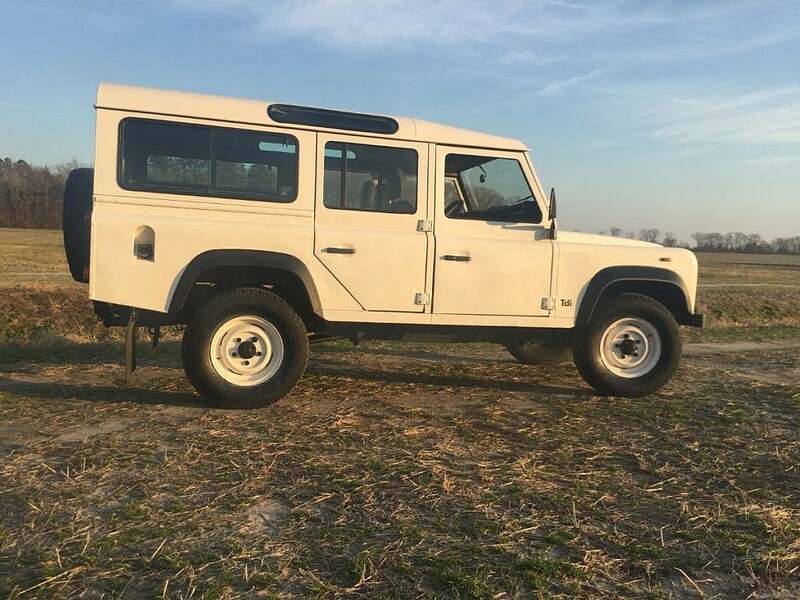 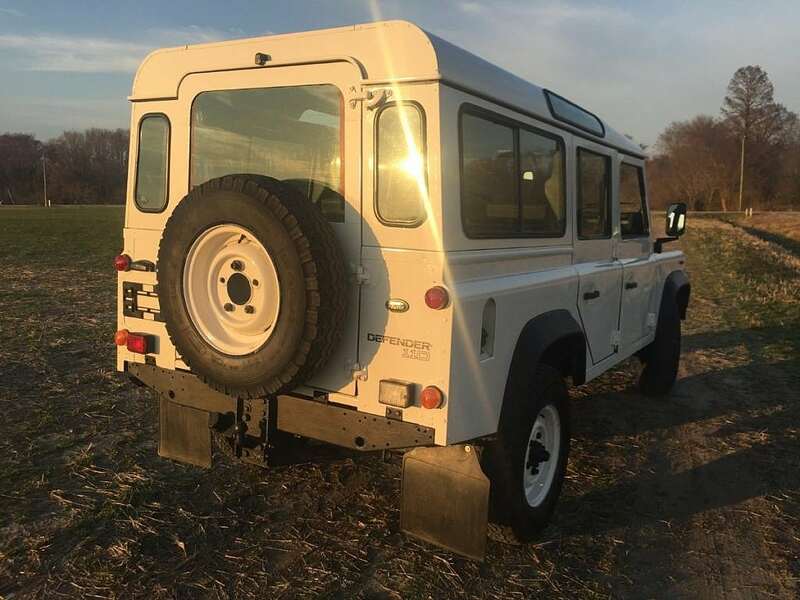 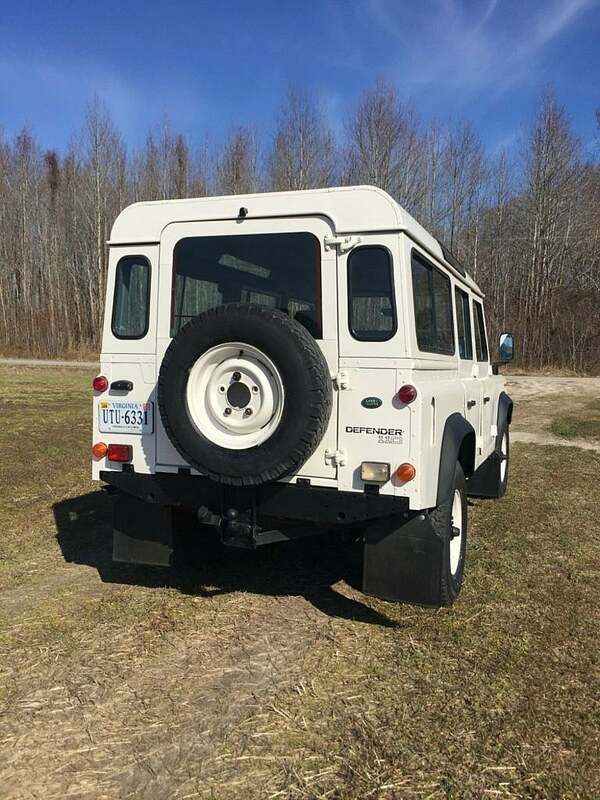 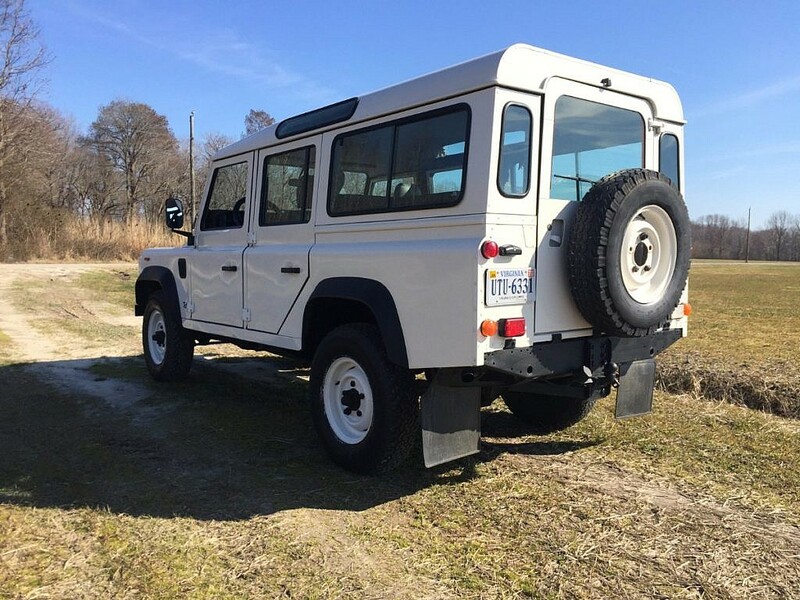 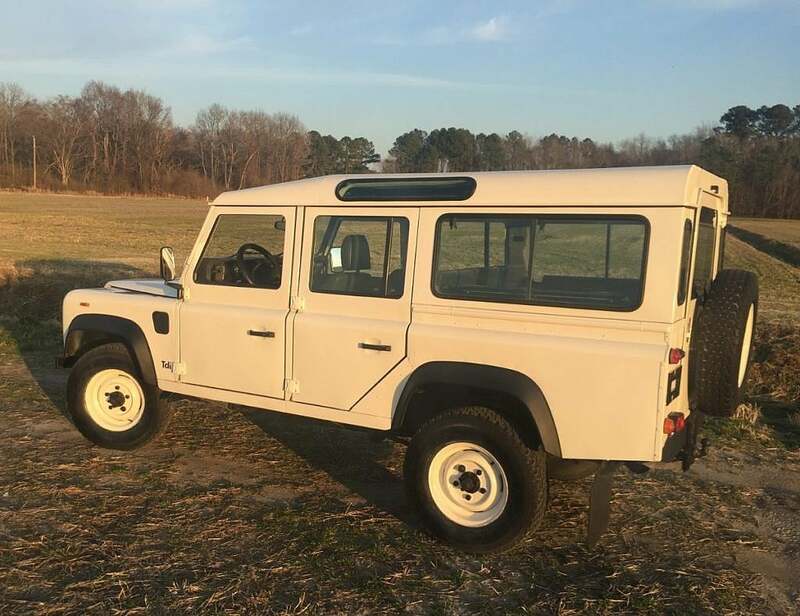 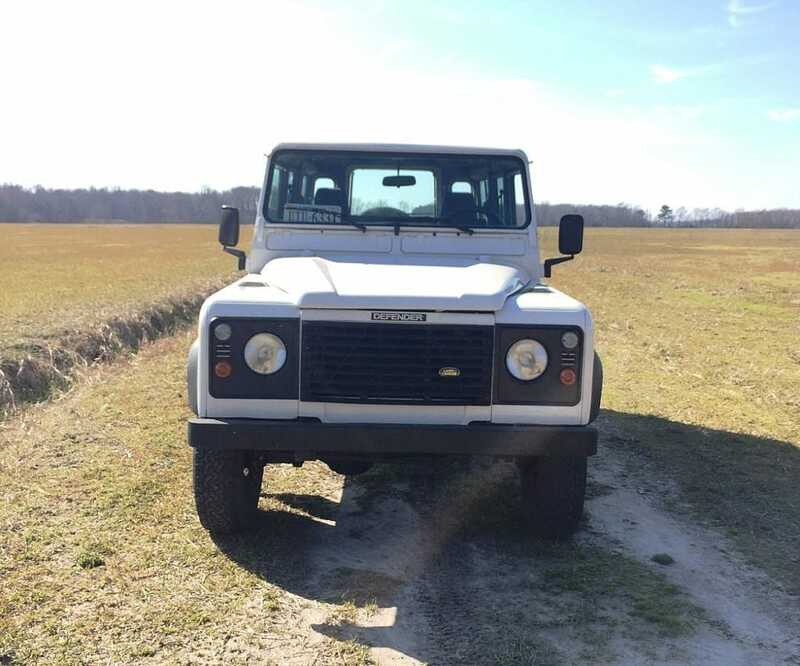 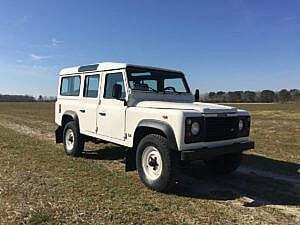 Second Daily is proud to offer this 1993 Land Rover Defender 110 in Alpine White over grey tweed. 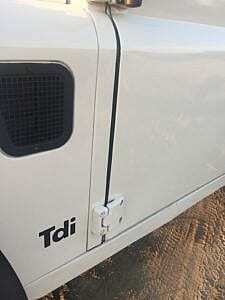 Powered by its original 200tdi turbo diesel, it was legally imported to the U.S. in 2017 and titled in Virginia. 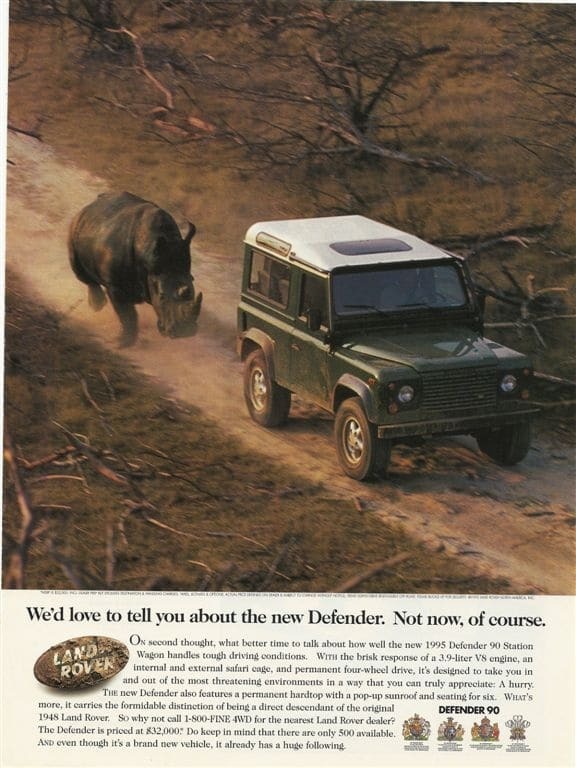 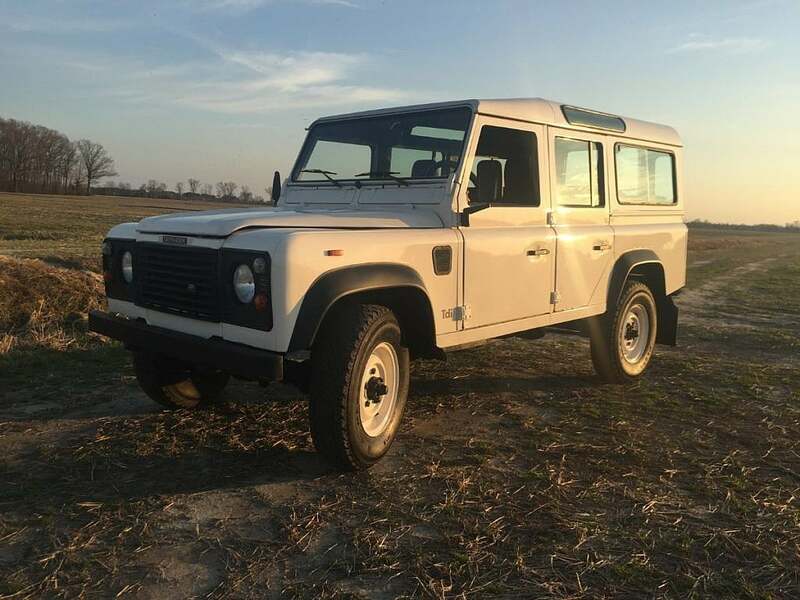 This D110 has a recorded date of build of February 2nd, 1993 in the Land Rover factory in Solihull, England. 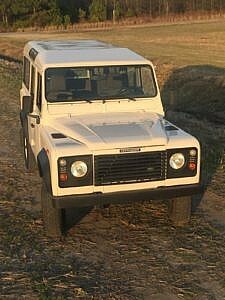 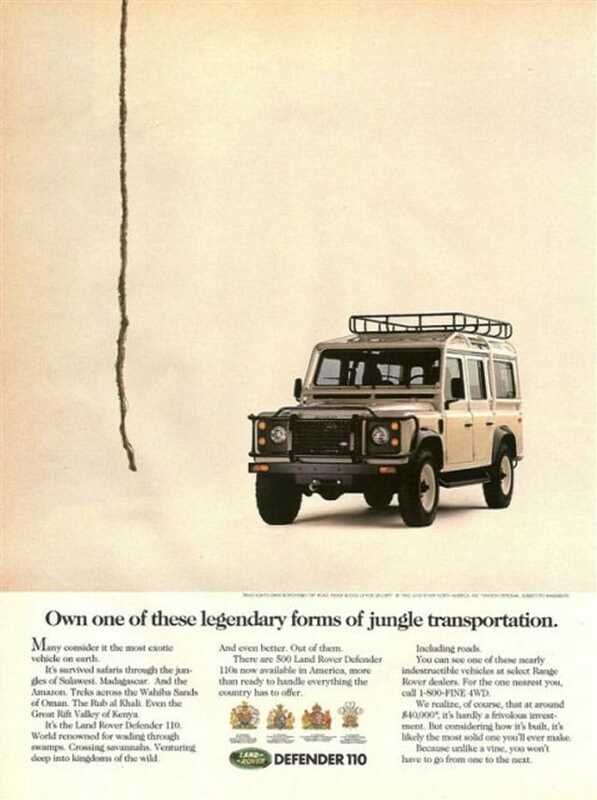 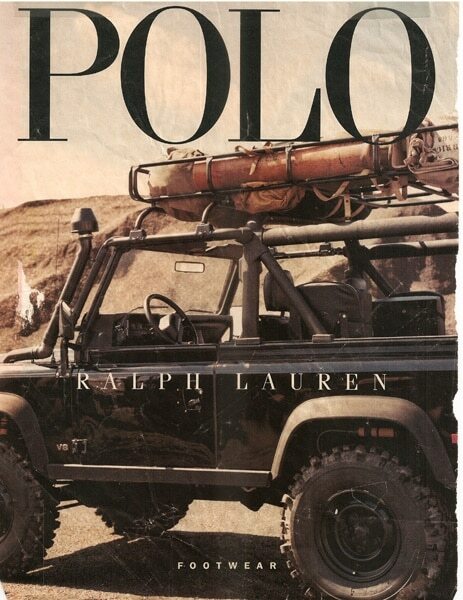 It was then dispatched from the factory to the Imdicasa Land Rover dealership in Tenerife, Spain. In 2016, it was bought by a Spanish local in Cadiz Province where it was serviced, repairs made to the foot wells, and repainted in the original Alpine White color. 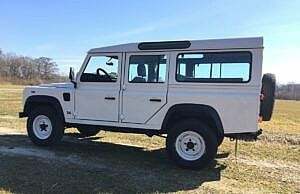 In July 2017, the seller acquired and imported it to the U.S. 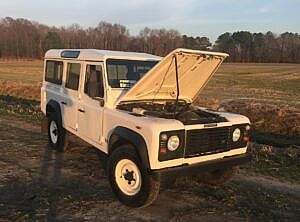 Since then, the seller has made minor repairs to such things as lights and turn signals, added load space matting, added a new battery, and performed an oil change. Outside, this 110 shows very well and mostly original in appearance. 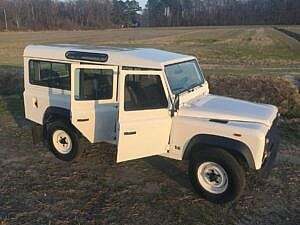 It was repainted in the original Alpine White color in 2017. The paint is generally in very good condition with just a few very small chips, scratches, and blemishes noted. 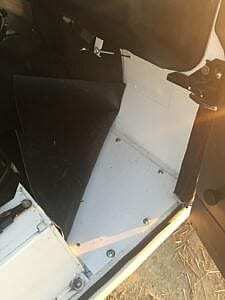 All lighting is in good condition and fully operational. 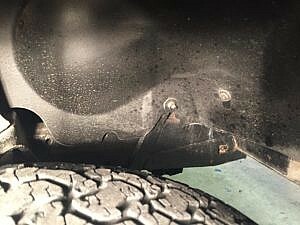 All tires (size 7.50 R16) are in good condition. 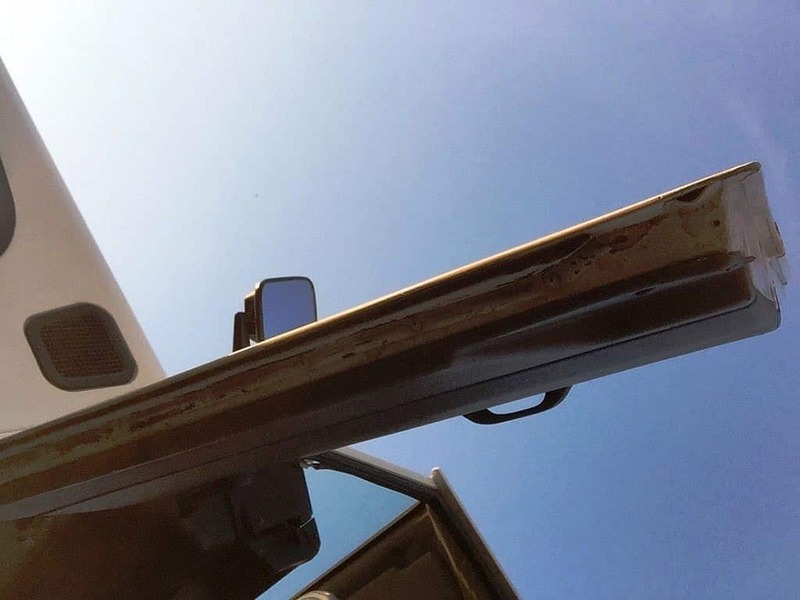 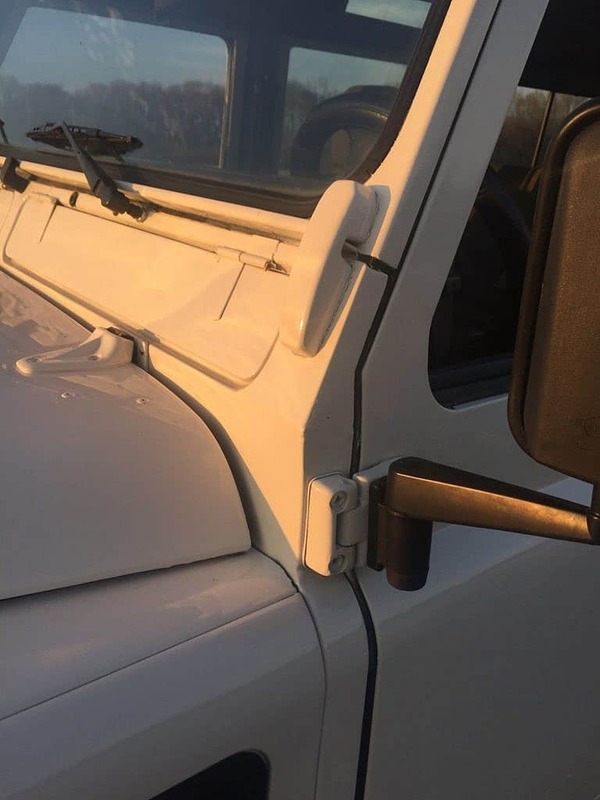 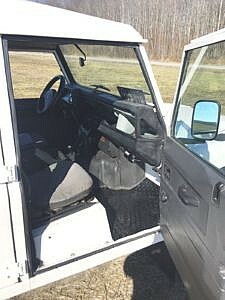 The windshield and all door glass are reported to be in excellent condition. 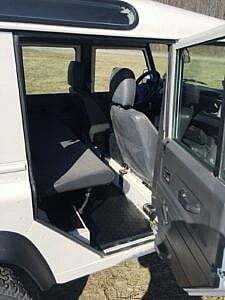 All doors are solid and operational. 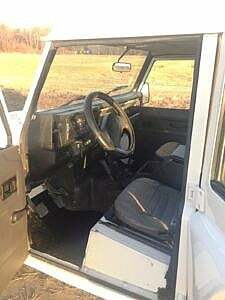 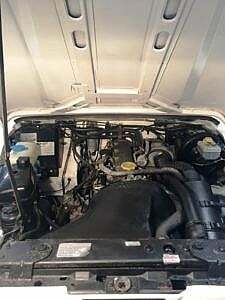 The seller notes that the front floor pans were replaced at some time. 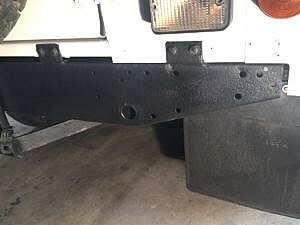 We note some rust spots near the hinges on the bulkhead. The door bottoms appear to be in good shape. 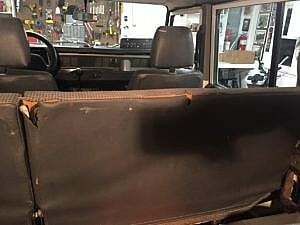 The seller notes that the frame is intact with no repairs or major rust, only some evidence of minor surface rust in places. 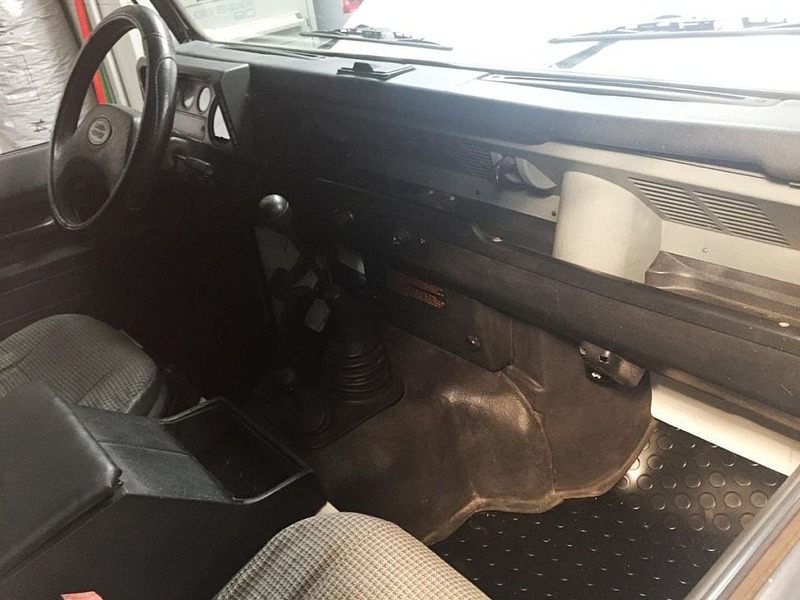 Inside this (and any) Defender is very spartan, but we note how clean this one in particular is. 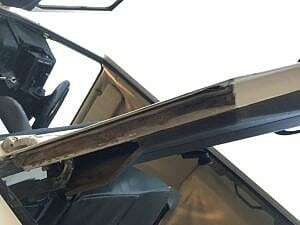 The interior painted surfaces appear to be in good condition. 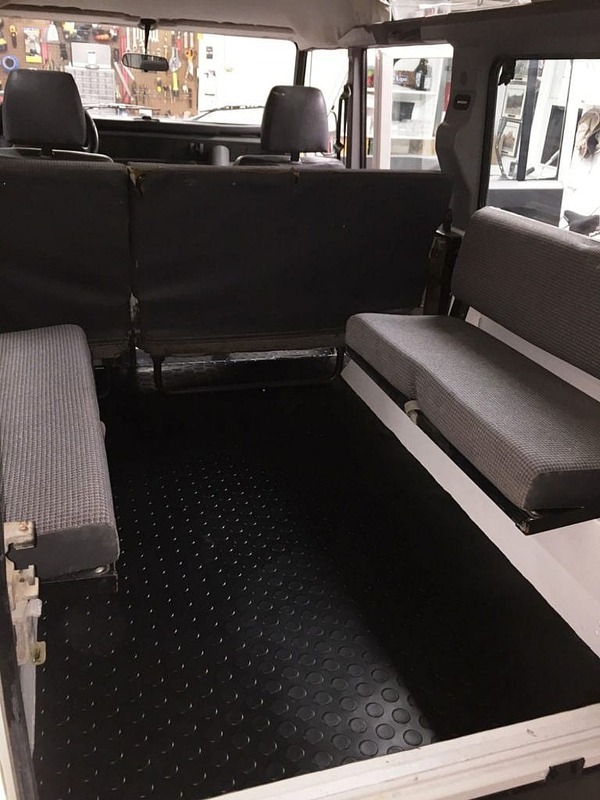 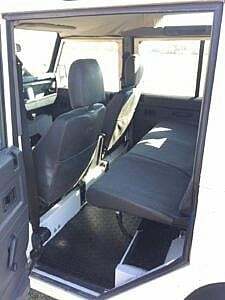 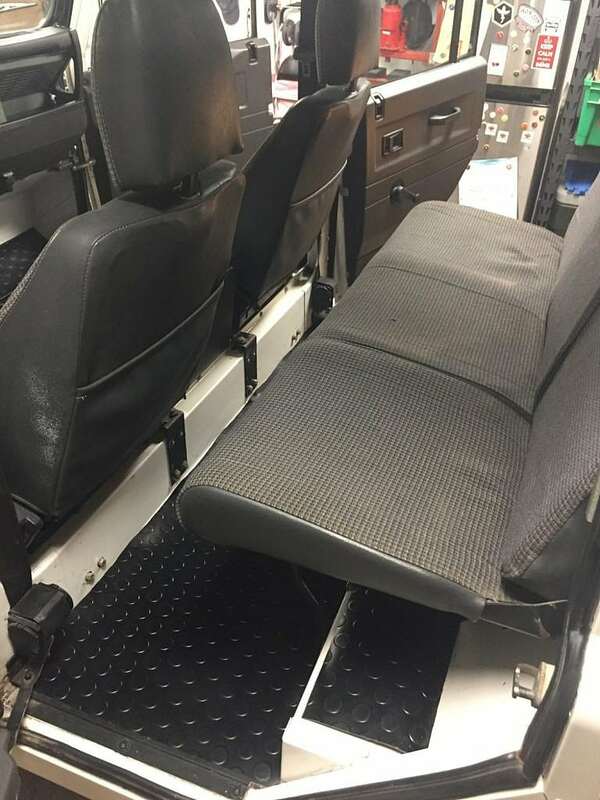 New black matting has been installed in the cargo area, second row passenger floor area, and in the driver and front passenger floor areas. It is reported that all seating is in good working condition, and cosmetically could be improved to bring them back to a factory new condition. The headliner is in good working condition, but could use reupholstering since the fabric is 25 years old and is starting to detach from the backing in a few places. 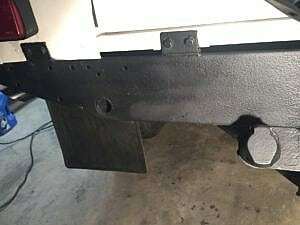 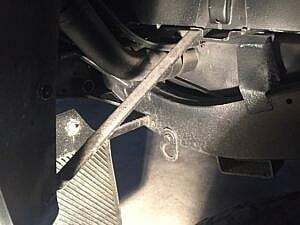 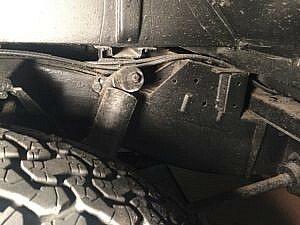 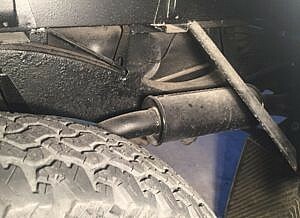 The foot wells on the drivers side and front passenger side have been repaired by welding in new metal. The dash is complete and seemingly in very good condition. 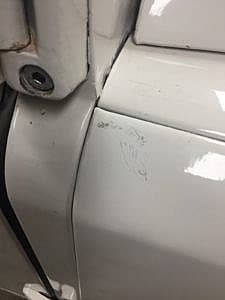 The top dash pad shows a few small stress cracks in the vinyl covering. 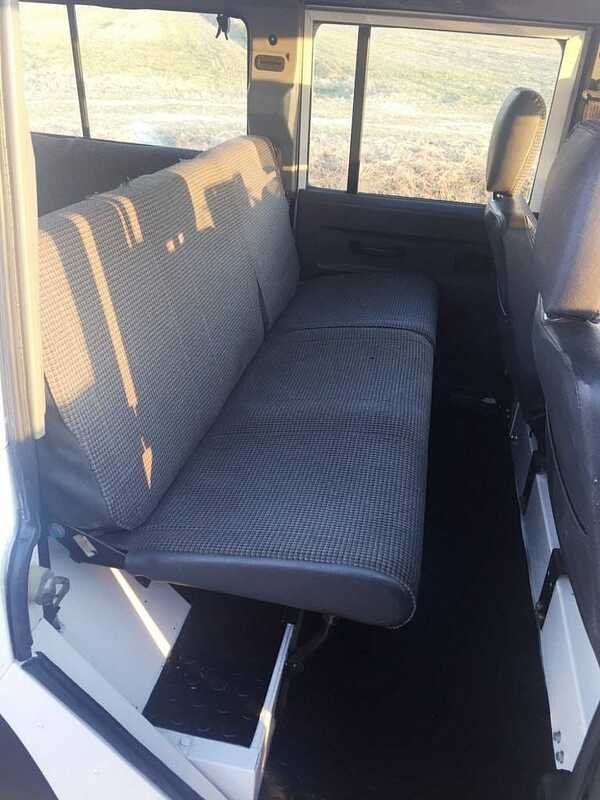 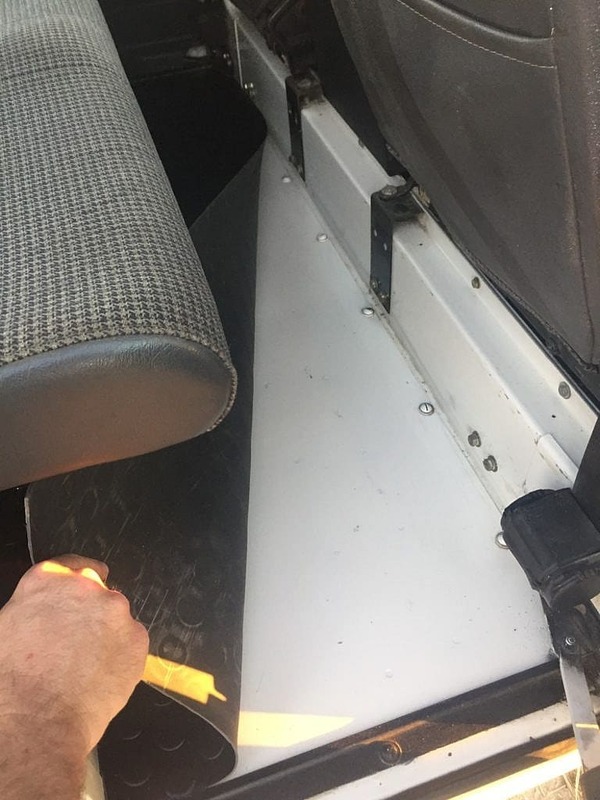 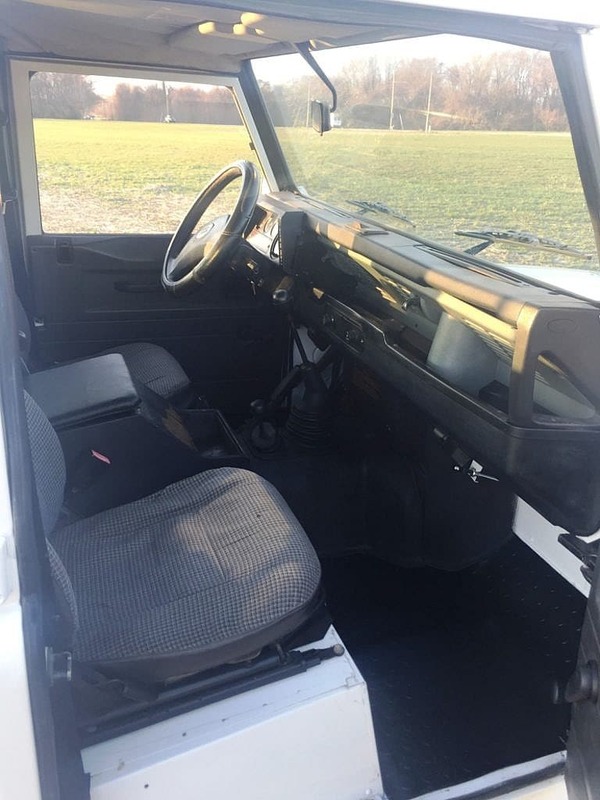 The cubby box in between the driver and passenger is in good working condition, but could use replacing to bring it to new condition reports the seller. 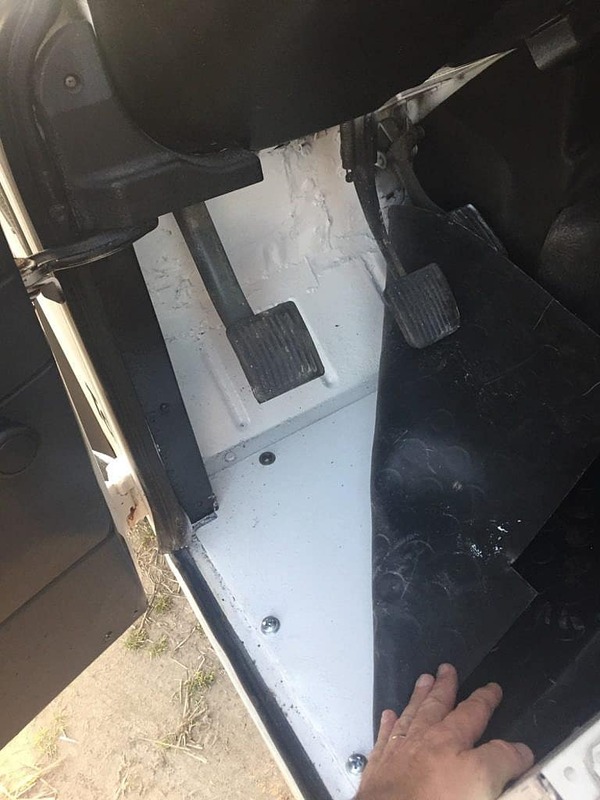 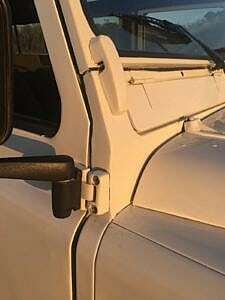 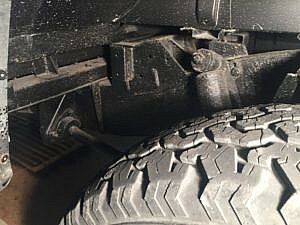 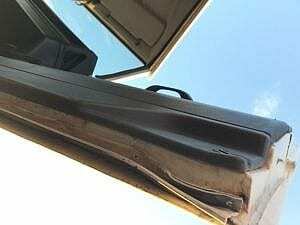 The headliner has detached from the backing in a few places and could use replacing in the future. 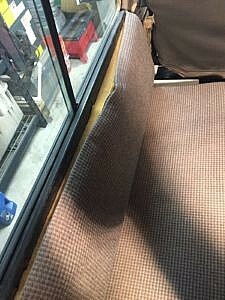 The seats are in good working condition but may benefit from being re-trimmed. The foot wells have been repaired. 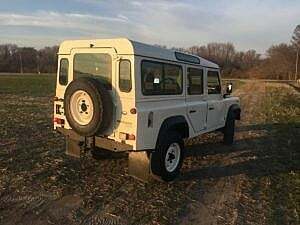 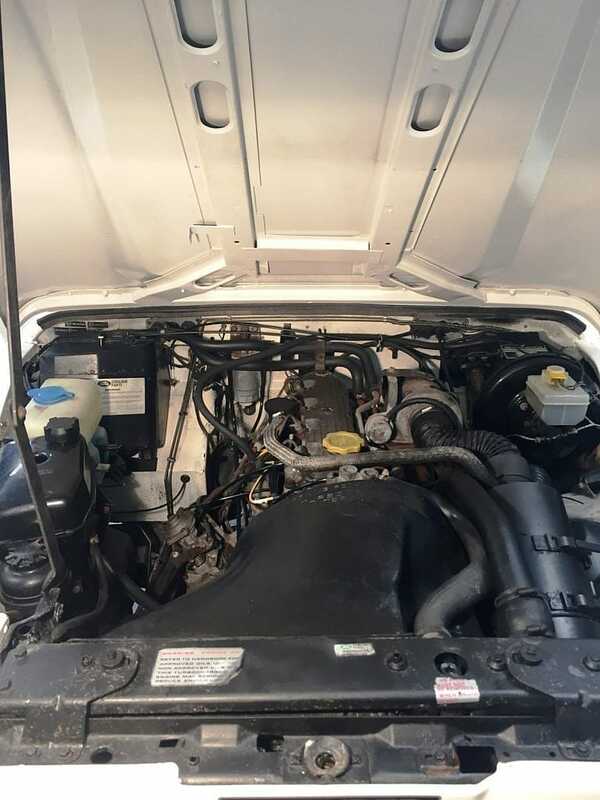 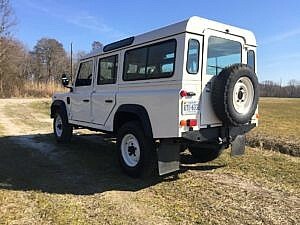 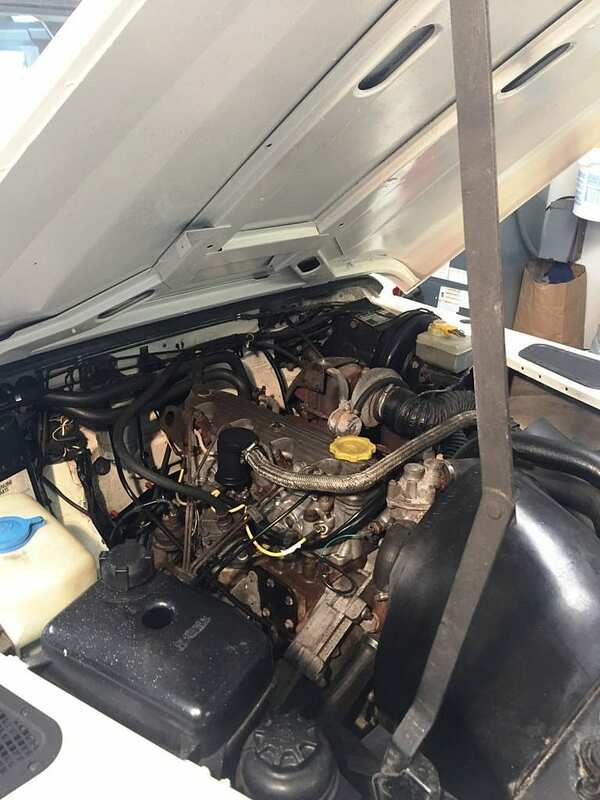 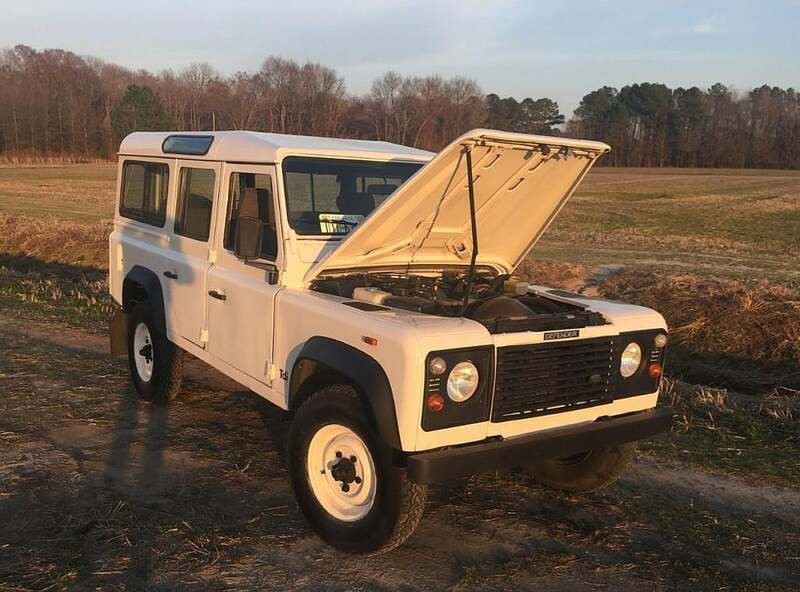 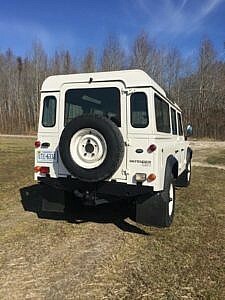 This Land Rover Defender 110 is reported to run/drive/stop without issue, starts up easily every time and cruises at highway speeds. The transmission shifts smoothly through all gears and the transfer case engages into low and high easily and functions properly. 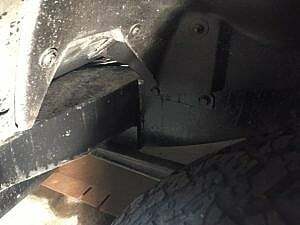 The brakes are fully functional and operate properly. 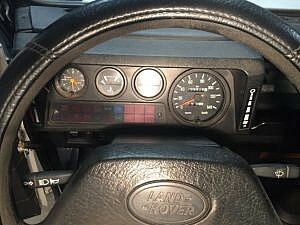 All lights and driver controls work properly. Production of the Defender ended in 2016 and judging by the press releases and prototype drawings of late, we will never see this iconic 4×4 ever again. Many of these trucks are being bought up for restoration or bespoke builds. 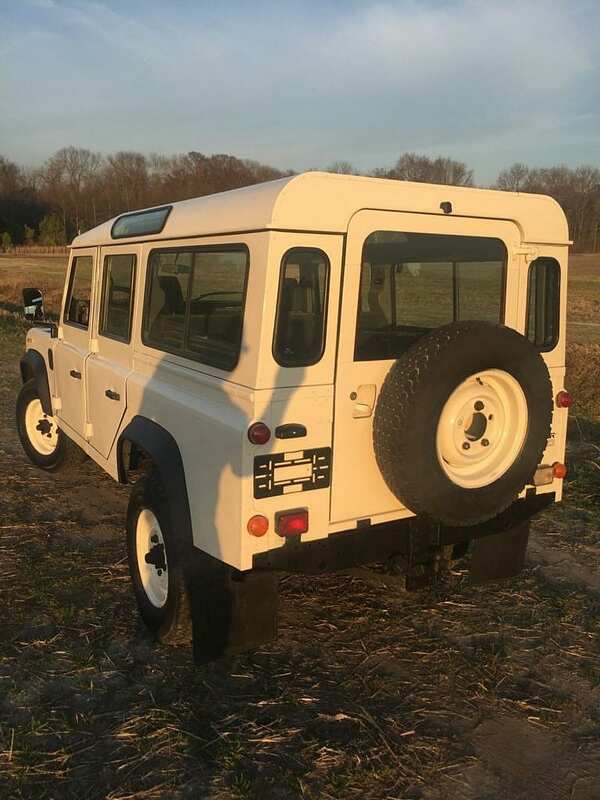 This one has been sympathetically restored for daily driver use, allowing you to enjoy it for what its intended use. It is titled, tagged and 100% legal in the US. 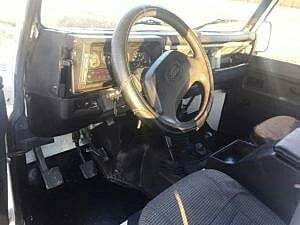 Inspections are welcomed and encouraged for any serious buyers. Did this vehicle make reserve? Am I reading this wrong or did @KMPDOLAN bid against him/herself? 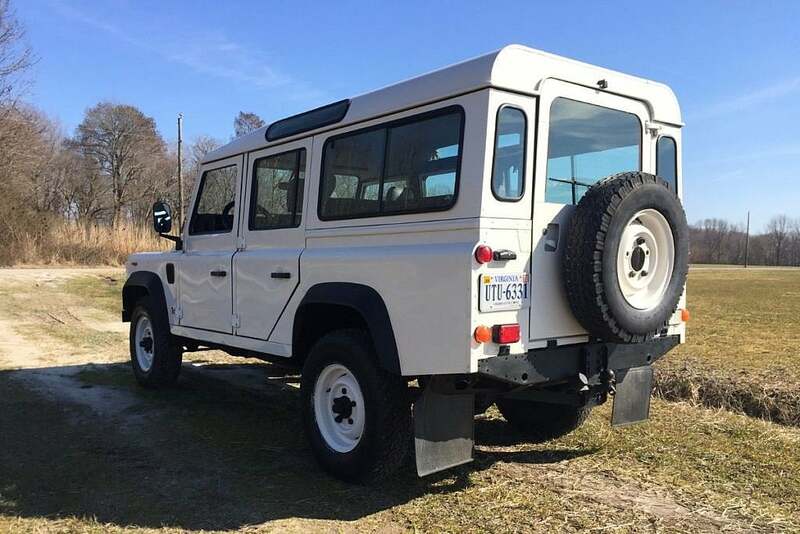 It’s worth noting that with the standard Virginia tags (vice antique tags) it will have been through a state safety inspection. Does vehicle have heat and ac? 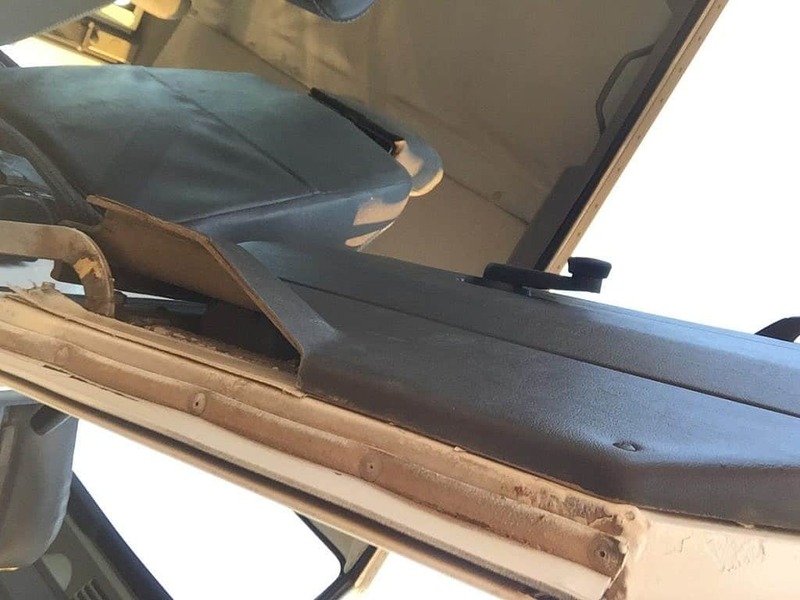 It has heat, but there is no AC. 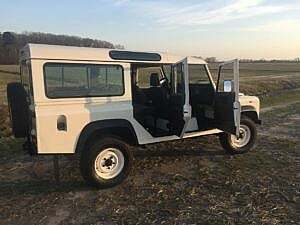 It will cruise comfortably at 90-115 kph (55-70 mph) and keep up with normal traffic, but it is geared more for it’s intended use off-road.